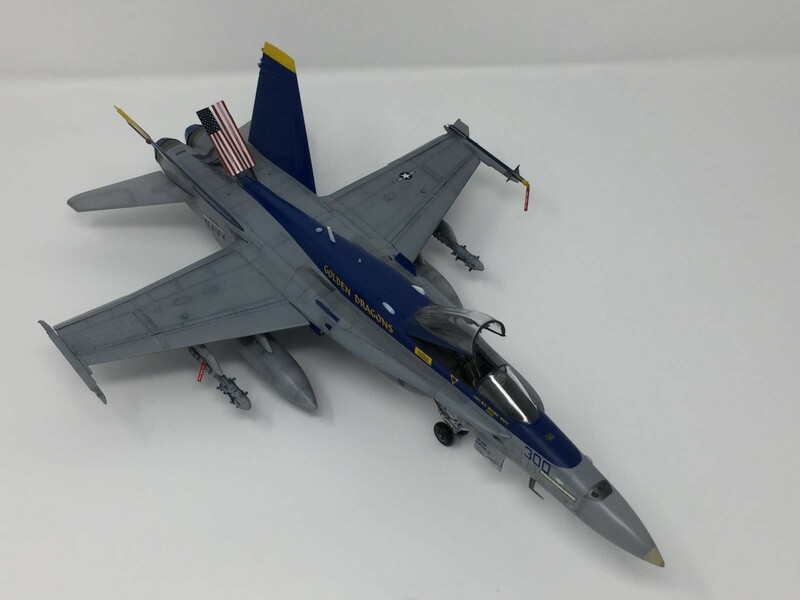 I have another hornet build right here. 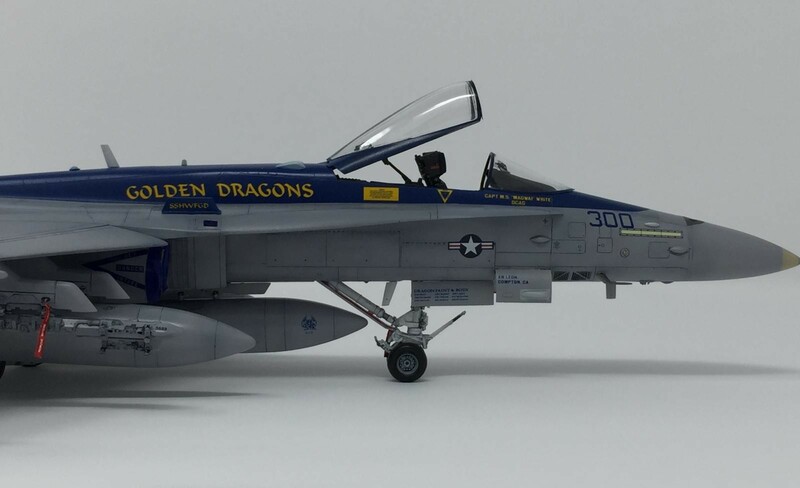 This time its The World Famous Golden Dragons VFA-192. 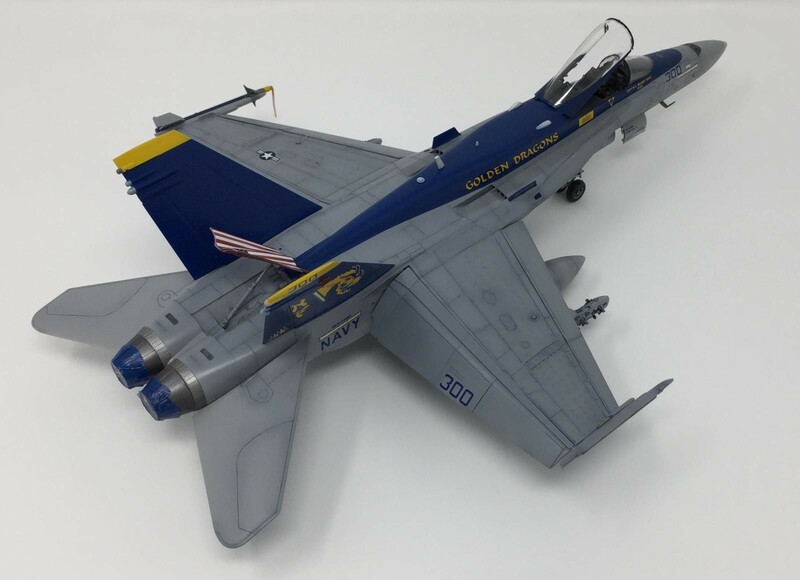 I have the 1/48 Hasegawa F/A-18C painted with gunze acrylics with Alclad for exhaust. Decals were from Twobobs and hasegawa kit cartograf decals. Eduard pe for some cockpit items. MER from eduard resin. Hmmm…it does not appear although i already uploaded it. That is strange. Eric, could you please try to upload the pics again? Thanks! 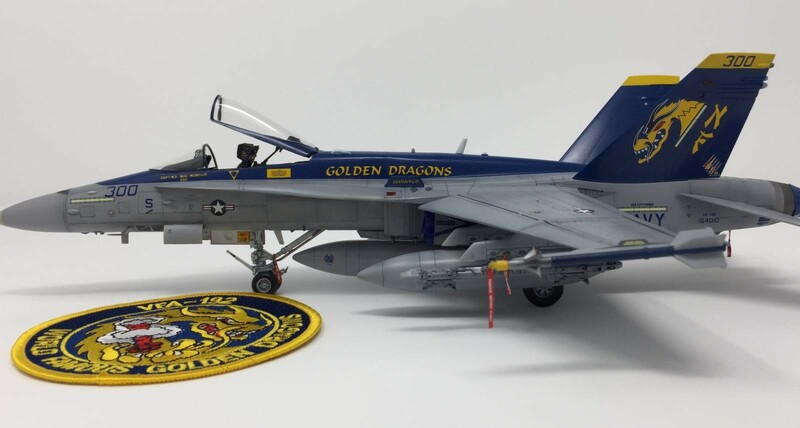 They became “World Famous” when The Bridges At Toko-ri came out, since it happened when the film crew came out to the Oriskany in Japan for on-location shooting, VF-192 was the Panther squadron aboard. 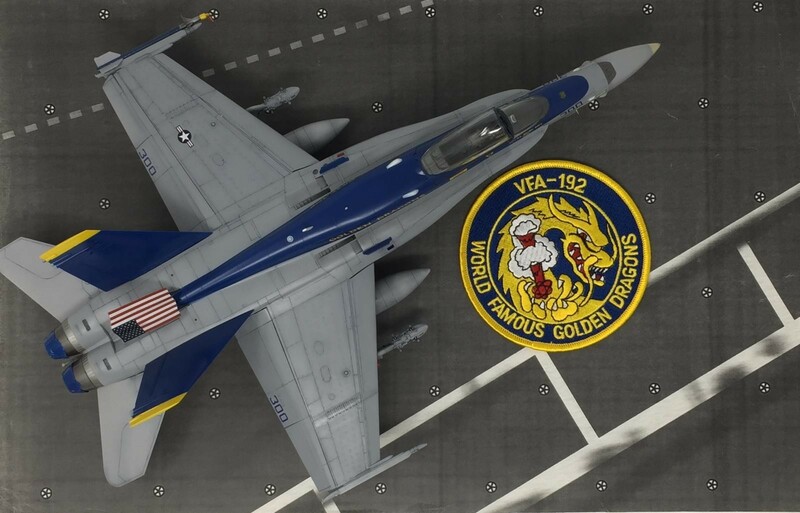 VF-5, which did all the flying scenes down in San Diego had to paint their airplanes in VF-192 markings (which they really really hated doing). After making some new forward numbers off of a Cougar sheet from Furball to replace the ones I botched, my Toko-Ri Panther is almost done. Really liking the colors on the Hornet. The full color U.S. insignia also much better than the standard drab grey. 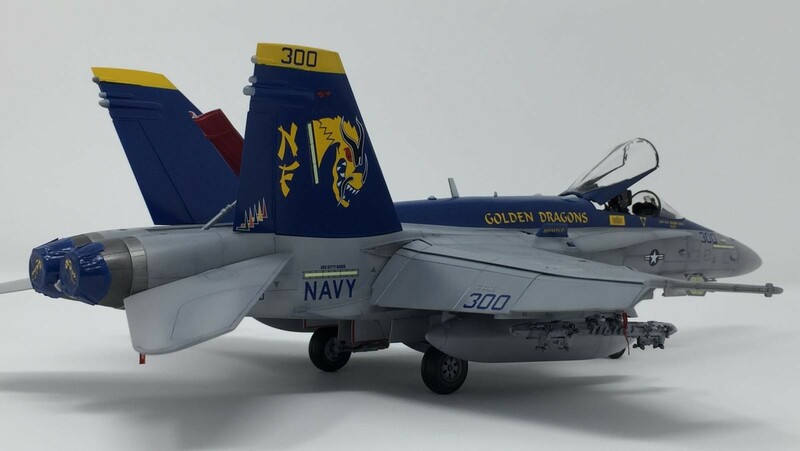 The only thing that would make this look better is to be on the two tone grey/white camo in these colors but I think the Hornet might be too new to have ever been painted that way. Excellent job on this! Photobucket is really unforgiving. Can’t even get my photos anymore. sorry about that. Now…on to your [now visible] posting. 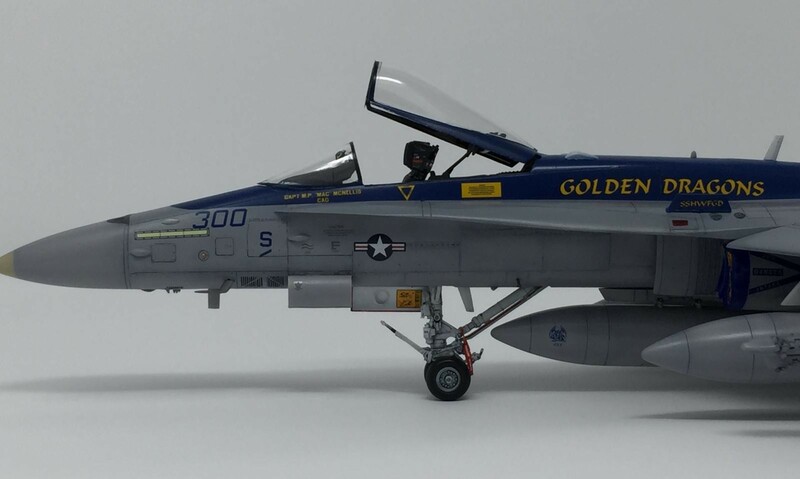 I can tell you it was worth the short wait to savor the pics of that stunning Hornet. Outstanding work, my friend. I like this even more than your first one. Thanks much Craig. I shall try your suggestion. Just upload directly from your computer here. Don’t need any of the rest. That’s true, of course (I figured you already knew that part) – I was merely giving you an alternative to PB in the future. Eric, I have to admit I’m more attracted to the standard combat scheme’s, but this is nice, and I mean really nice. A very well done model deserves recognition and this qualifies. Well done ! I like it a lot Eric, especially the airbrake! It is a colorful Hornet. Exellent !!! You asked us to say what we thought, I think it’s great! The colour scheme really suits it. Re uploading your pictures, keep it simple, just upload them off your computer straight onto iModeler, it’s so easy even I can do it! Thanks guys. Appreciate all the feedback and the suggestion. I gave Imgur a try since saving all the pictures of my build and future project builds will eat too much storage space. Well, put me in the “I really like this paint scheme” crowd! Jeffry, I try to get away from the gray ones every now and then. Those CAG birds do appeal to me more. Very nice work Eric … the wreathing is so well done, thanks for sharing the images. Fantatic work, very well done, a masterpiece! Very nice! Excellent scheme, and the finishing work really makes it stand out. Thanks Greg. Glad you like it. Nice build and an interesting livery. Great detail and a great finish! Glad you like it Richard. Thanks!